Everyone needs a new truck, boat and trailer, or valuable outdoor-related prizes. And kids need scholarship money! The 2016 CCA-Florida STAR Tournament begins on May 28 and ends on September 5. Tagged, slot-sized redfish are being released all along Florida’s coastline, and winning is a simple matter of becoming a CCA Member and entering the Tournament. There will be a total of 150 fish released. 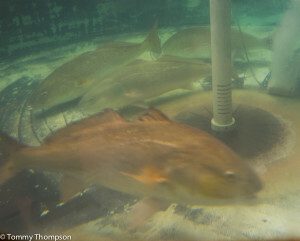 West coast redfish have been raised specifically for the tournament at the FWC hatchery on Tampa Bay, and the east coast fish, a different genetic set, have been wild-caught. At release, all the fish are healthy and active, and are not expected to grow beyond slot size by the end of the tournament. Hatchery reds, ready for release! On our Big Bend, in Natural North Florida, fish are being released in Levy, Dixie, Taylor, Jefferson and Wakulla counties by CCA officials and FWC biologists. The intent is not to hide the fish, but to release them into the wild where they are likely to be caught. 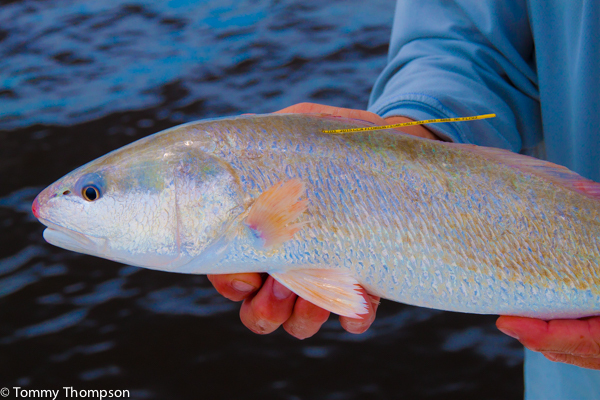 While the tagged fish are redfish, that’s not to say that other species are ignored. There are many valuable prizes for seatrout, snook, flounder, sheepshead, cobia, king mackerel–and even lionfish! The youth division offers scholarships as well as prizes! Registration is as simple as going online to the CCA-Florida STAR website. Entering a fish is easy, too. You can pick up an official measuring device at one of many Big Bend sources. Tagged redfish must be brought back to an official weigh station, but other species can be entered using eh CCA STAR app on you smartphone.